This work presents a novel coolant suitable for different machining processes. The focus of this study is applying superabsorbent coolant (SAC) during milling of hardened H13 steel and evaluating the possibility of utilizing superabsorbent material as a coolant and comparing with dry and flood conditions. The use of SAC is a novel method of semi-dry machining that proves the performance of hydrogels as a coolant and opens a new window for industrial applications. 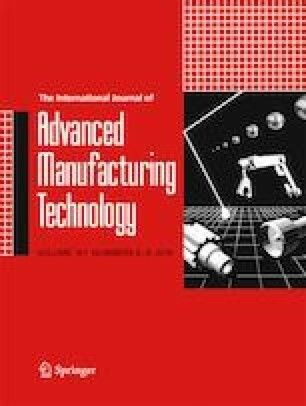 The main purpose besides improving machining performance is that a suitable condition has been provided to use benefits of nanoparticles (higher thermal conductivity and lubricity) safely and prevent distribution of nanoparticles and other chemical additives in the air which can cause serious occupational and environmental problems as well. The results of machining studies indicate that SAC can considerably reduce cutting force, improve surface integrity, and increase tool life. In addition, the friction conditions at the cutting zone have been improved. The results show a lower surface roughness of the chip surface. The authors would like to thank McMaster Manufacturing Research Institute (MMRI) for providing the technical support for this project, Heera Marway, a research engineer in the MMRI, for his valuable help and suggestions, and Jennifer Anderson for her help with editing the document. This research was supported by the Natural Sciences and Engineering Research Council of Canada (NSERC) under the CANRIMT Strategic Research Network Grant NETGP 479639-15.